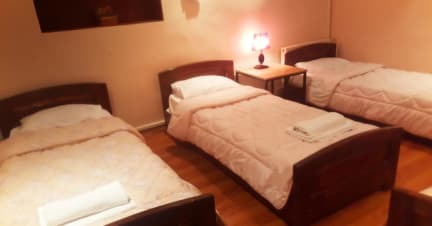 Deso Hostel Tbilisi is located in the city center. It is close to restaurants, bars, shops, cafes, opera, national museum, exhibition halls, cinema and theater. Deso Hostel Tbilisi is set opposite Opera House. On the first floor there is a shop Franco Fontana. You can reach hostel by bus, metro and minibus. fitted with a bath or shower. Also, there you will find a , area to relax in after a busy day. Enjoy a cup of tea from your terrace or balcony. Reception is available 24 hour at the property.